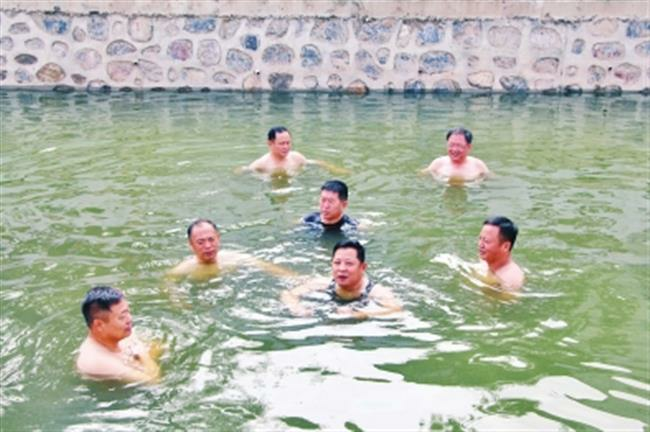 Mayor Li of Yongcheng city took a morning dip in a river he vowed to clean up — together with six other officials — just a year after it was deemed too polluted to enter. 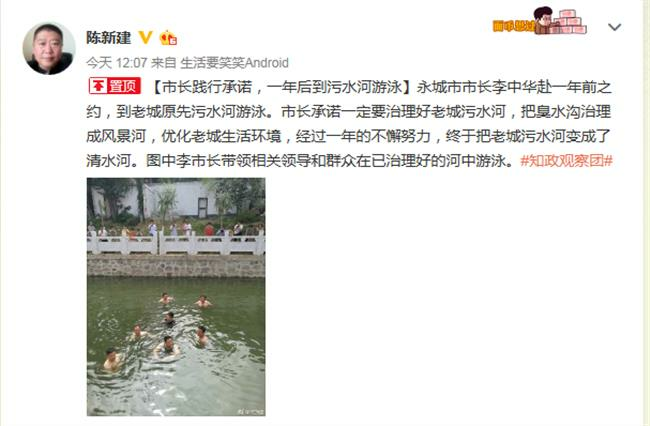 A mayor from central China's Henan Province has become an Internet sensation after being the first to swim in a local river which he vowed to clean up, and which just a year ago was too polluted to enter. 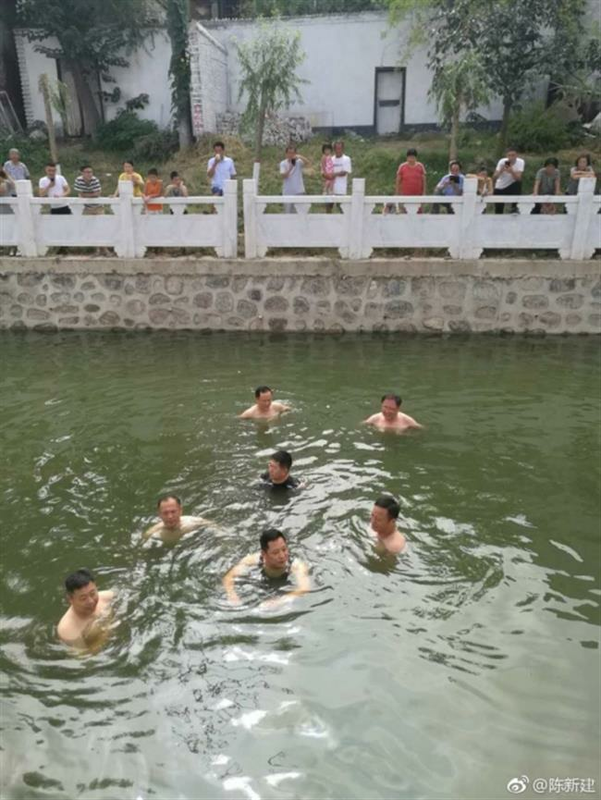 Li Zhonghua, mayor of the province’s Yongcheng city, took a morning swim in a river located in the city’s old town with six others as the photo, posted by the city’s CPPCC member Chen Xinjian to Weibo on August 1, showed. Li’s swimming partners included officials from the city’s various governmental departments of environmental protection, construction and municipal administration. Chen said in his Weibo post that Li fulfilled his promise to turn the stinking ditch into a scenic, clear river after he inspected it in July of last year. Opinions were mixed towards the mayor’s act as some netizens applauded his practical and effective work, while others questioned whether it was just political posturing. Some commented that the mayor’s morning dip was advisable regardless of whether it was a publicity stunt or not as he has clearly been successful at cleaning up the once polluted river. Others challenged mayors from other cities to take a page from Li's book and be confident enough to swim in any of the rivers within their administrations.